The Jaguar XF delivers a breadth of exhilarating driving experiences. Available with diesel or gasoline engines, the option of Intelligent All Wheel Drive with Intelligent Driveline Dynamics gives the XF even greater capability in challenging road conditions. The XF has an assertive design that stands out from the crowd: an unrivaled combination of style and substance, a seductive blend of design, dynamics and refinement, providing both excitement and comfort. And, it’s all enhanced with the latest technologies that keep you connected and entertained. Whether you choose the distinctive Sedan or the stylish Sportbrake, the Jaguar XF provides a dynamic driving experience. 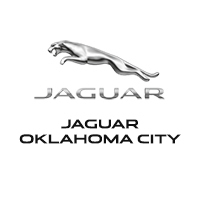 Visit your Jaguar XF dealer at Jaguar Oklahoma City or view models below. 2018 Jaguar XF S 17 Speakers, Air Conditioning, AM/FM radio: SiriusXM, Automatic temperature control, Blind spot sensor: Blind Spot Monitor warning, Brake assist, Cabin Air Ionisation, CD player, DVD-Audio, Electronic Stability Control, Front dual zone A/C, Memory seat, Navigation system: InControl Navigation Pro, Power driver seat, Power steering, Power windows, Radio data system, Radio: Meridian 825W Surround Sound System, Rear window defroster, Remote keyless entry, SiriusXM Satellite Radio, Steering wheel memory, Steering wheel mounted audio controls. 2018 Jaguar XF S 360 Degree Parking Aid, 4G Wi-Fi Hotspot, Adaptive Cruise Control (ACC) w/Forward Alert, Black Package, Blind Spot Assist, Blind spot sensor: Blind Spot Monitor warning, Brake assist, Climate Front Seats, Comfort & Convenience Package, Driver Assistance Package, Electronic Stability Control, Gloss Black Radiator Grille Insert, Heated Rear Seats, Memory seat, Navigation system: InControl Navigation, Power driver seat, Power steering, Radio: Meridian 825W Surround Audio System, Surround Camera System, Technology Package, Wheels: 20" 5 Split-Spoke (Style 5036).